Hire the experts so you can keep doing what you are best at. 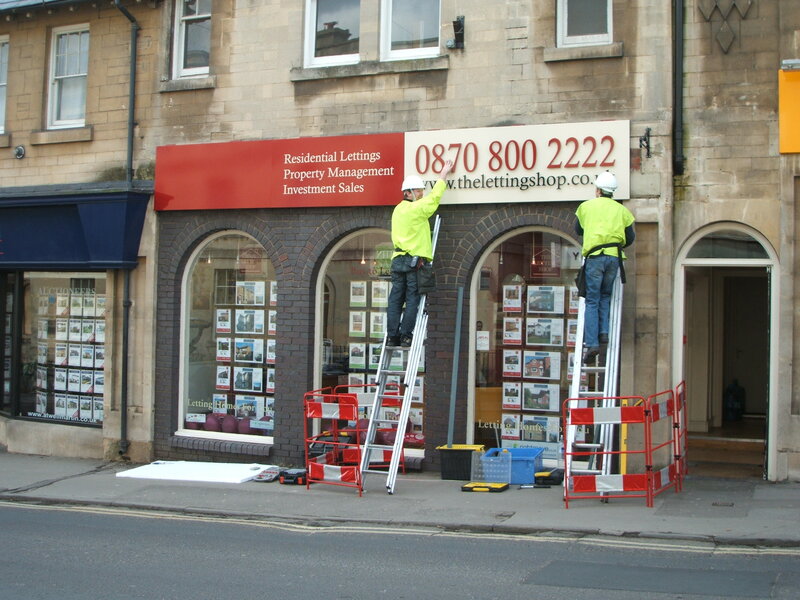 We have a full fitting and installation service for sign panels, window vinyl and display, exhibition stands and any other signage product. Please ask us for details. rate usually charged at £45 per hour plus travel and hardware/fixings costs.